With the possible exception of marlin, no species is as thrilling a catch as the shark - and none are as dangerous. With proper care, shark fishing can go on swimmingly without any problems, but like anything in life, sometimes things can go wrong. Below are some of the wildest shark fishing encounters you'll hope never happen to you. Here's a great video of what not to do when handling a shark. When getting a hook out of a shark's mouth, it's probably a good idea to do a better job pinning it down, rather than flee in terror and leave your buddy's hand exposed. align="left" style="padding:10px;" Jim Sammons of Kayak Fishing Tales gets a little too close to comfort with a shark while fishing for yellowtail down in New Zealand. Everything is fine until the very moment when he's pulling in a kingfish onto his kayak when a hungry shark thrashes to the surface and bites away the catch from Jim's very hands. 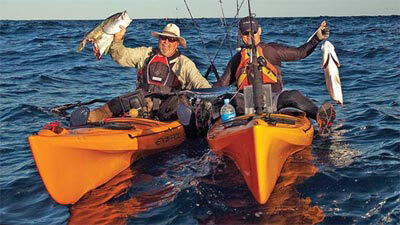 The video is enough to make you think twice about kayak fishing in saltwater. Click here for some incredible footage of fish that refuse to be reeled in so easily. Biting sharks, vicious pike, and marlins jumping into boats are just some of the examples of what happens when a fish takes matters into its own hands. 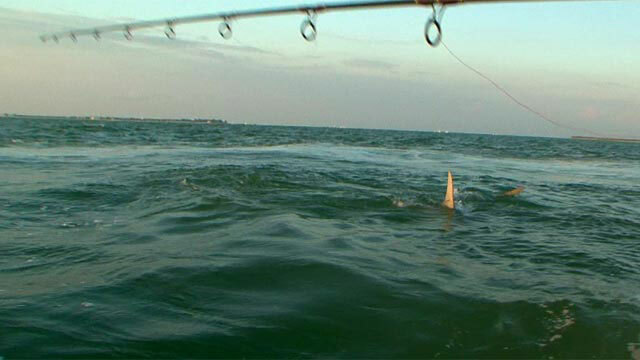 Seems like your typical shark fishing from shore video. There's a bit of a fight, they manage to bring it on shore, everyone gathers 'round, a crocodile comes on land and tries to steal it - wait, what!? Click here to see how you can take fishing to a whole new level of adventure and danger with these crazy ways to bring in the big one. WFN's own Mariko Izumi gets a close encounter fishing trip in Boca Grande, Florida. While tangling with a tarpon - an exciting fight in its own right - a massive hammerhead moves in and starts trying to steal mariko's catch. 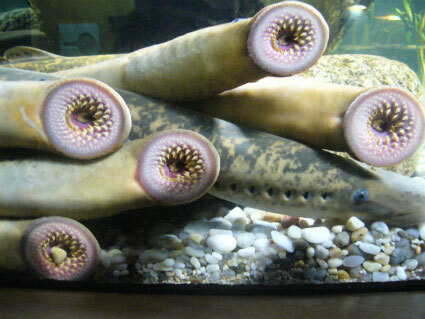 The footage will leave you with a new respect for the power of some of these predator fish. If you're curious just where it is you have to go to catch the biggest and most unique fish out there, here are ten popular game species and their respective trophy destinations.